The fantasy world of Disney royalty becomes reality in the all-new Princess Fairytale Hall, where Magic Kingdom guests get to live out their dream of meeting real Disney royalty. This enchanting new location for Disney princesses is fit for royalty with lush purple and gold trimmings, stone walls and ornate chandeliers. 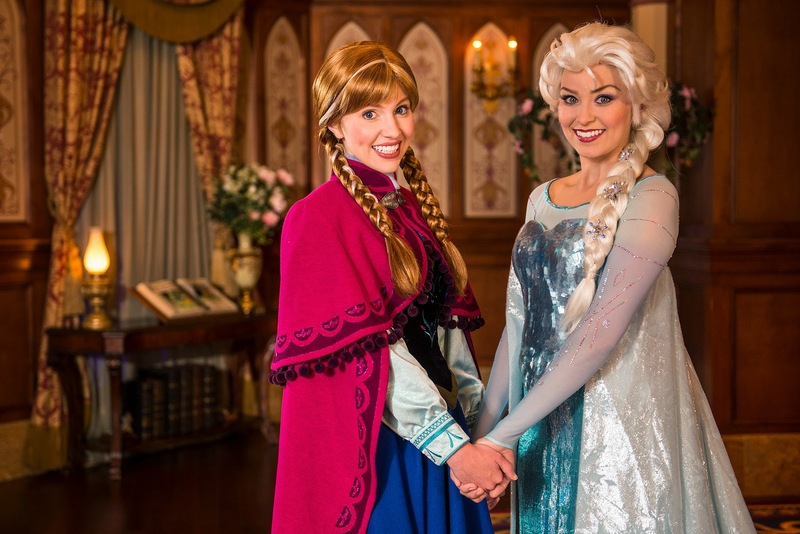 And it’s the new home to Anna and Elsa, from Disney’s Academy Award-winning film “Frozen.” Elsa and Anna are appearing together each day to greet guests. With its brightly colored tournament tent facade, Princess Fairytale Hall is located in the Castle Courtyard in the center of Fantasyland and is a cornerstone of New Fantasyland, a multiyear project that more than doubles the size of Fantasyland and represents the largest expansion in Magic Kingdom history. 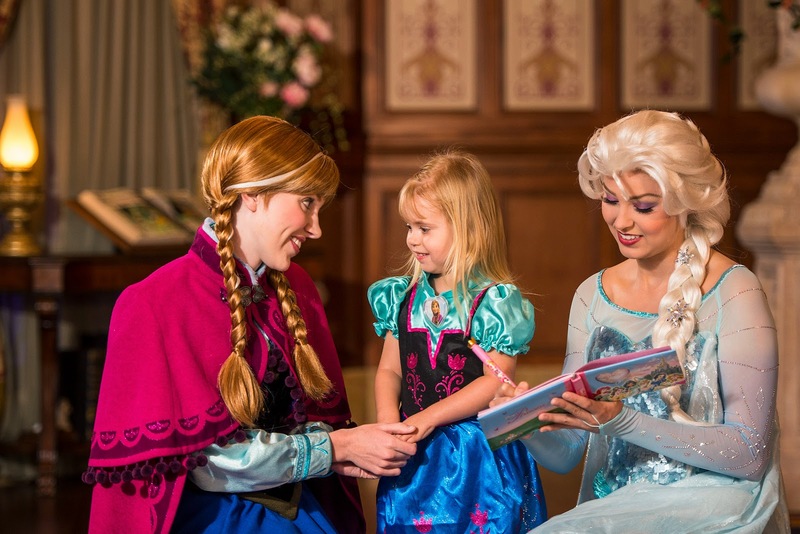 As loyal subjects to the princesses, guests can choose between two queues to meet the Royals: one for Cinderella and Rapunzel or one for Anna, Elsa, and another visiting princess. When it’s time for the big moment, guests are ushered into the royal chambers, richly paneled in wood and elegantly finished. Cinderella and Rapunzel are in one reception room, while Anna and Elsa are in the other, joined by one other Disney princess. 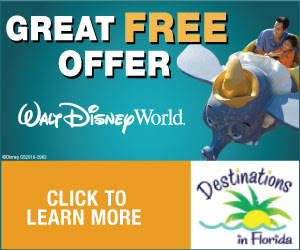 Royal visitors might include Aurora, Snow White, Tiana, Jasmine or Mulan. Whoever from the royal court stops by to greet her loyal subjects, it’s a royal scene made for making magical memories. Each chamber features a large framed painting of a fairytale landscape and a table with a set of bound leather storybooks that bear the titles of fairytales in the language of the original tale, including Hans Christian Andersen’s “The Snow Queen,” with the title in Danish, “Snedronningen.” Rose vases are located on the far side of each reception room and wallpaper decorated with crowns and other royal imagery completes the scene. Guests are encouraged to bring cameras and autograph books. Disney PhotoPass Imaging specialists also are on hand to capture the events in each room. To make Princess Fairytale Hall their new home, the princesses relocated from their former meet-and-greet area at Town Square Theater. Besides the standby queue, guests using FastPass+ will be welcome as loyal subjects to Princess Fairytale Hall.